Zato 3.0 has just been released - this is a major release that brings a lot of immensely interesting API integration features. 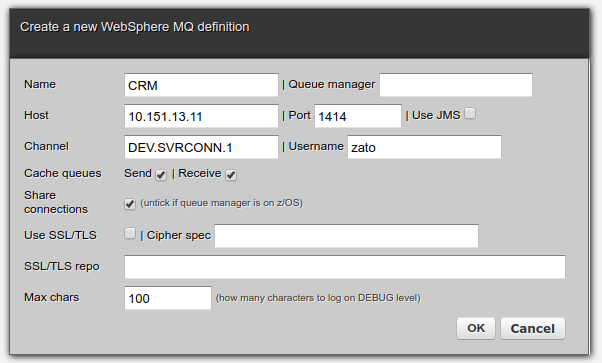 Zato is an enterprise open-source Python-based ESB/SOA/API integration platform and backend application server. It is designed specifically for construction of online, mobile, IoT, middleware and backend Python systems running in banking, telecommunications, health-care, insurance, education, public administration or other environments that require integrations of multiple applications. Here is the documentation, downloads and full changelog. 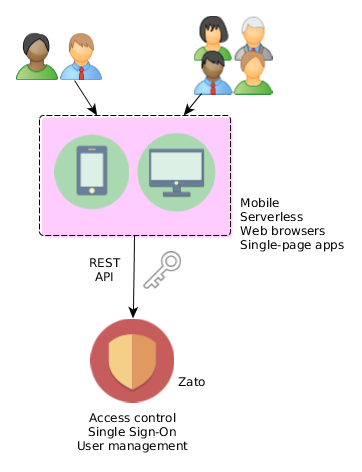 As an enterprise integration platform and backend, API-oriented, application server, Zato 3.0 ships with Single Sign-On and User Management APIs whose many exciting features are detailed in this blog post. The functionality is a major addition to Zato in version 3.0 and can be expected to expand with each new release, including support for additional authentication methods and interoperability with existing authentication protocols, yet in its initial form it can already handle a lot of use-cases and processes. 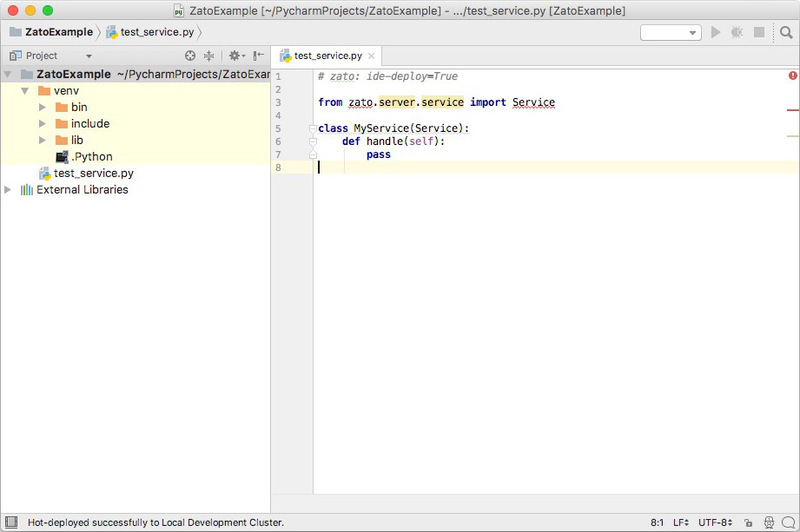 In particular, if you are creating applications that would not otherwise need a full server nor a database, e.g. 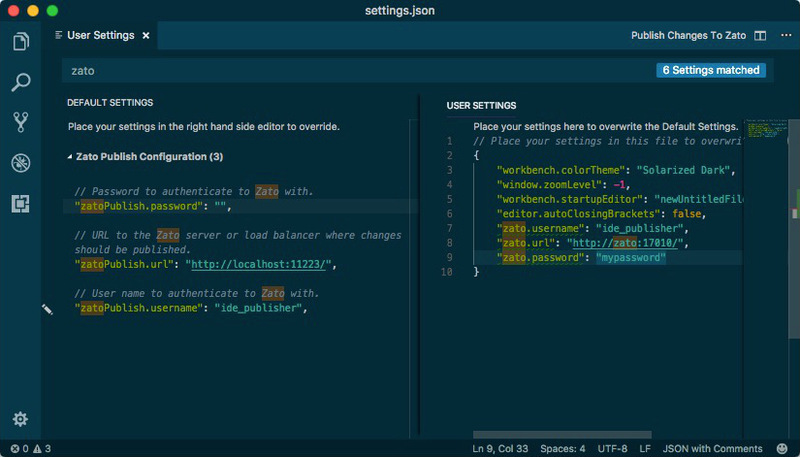 single-page apps or mobile ones, be sure to check the new APIs out! 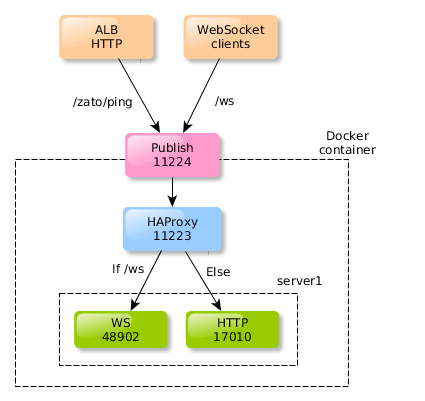 With the addition of WebSocket channels in Zato 3.0, a question arises of how to combine both HTTP and WebSocket channels in Zato environments. This article shows how a Docker container running in AWS can be configured to expose a single port to handle both kind of requests, including health-status checks from Amazon's ALB (Application Load Balancer). 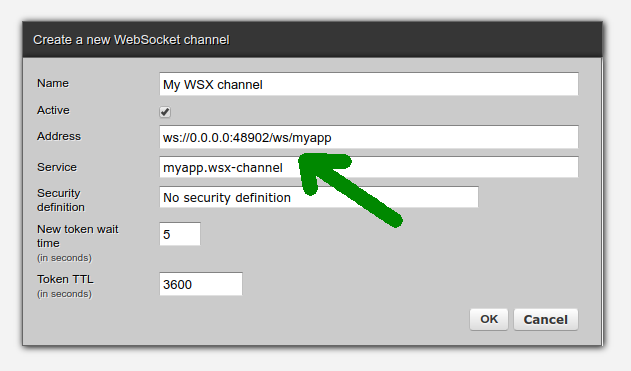 First step is to ensure that a WebSocket channel's path begins with the desired prefix, such as /ws, as in the screenshot. The changes required need to go the stanza called 'front_http_plain' - right after its current content add the lines with logic that will separate incoming requests into WebSocket ones or any other. 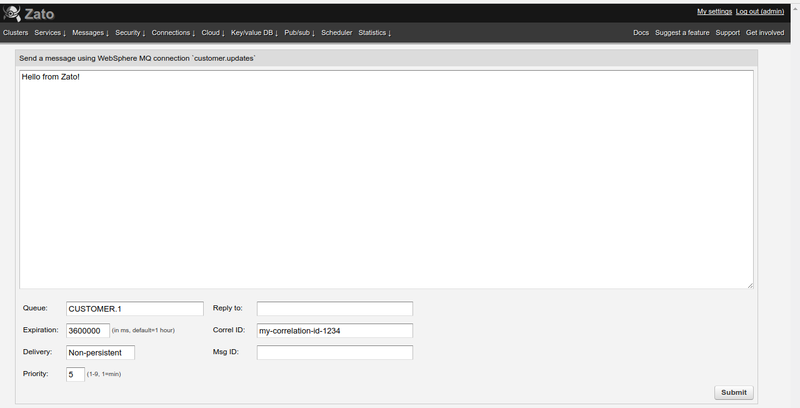 Next, add a new HAProxy backend pointing to the WebSocket channel created earlier. 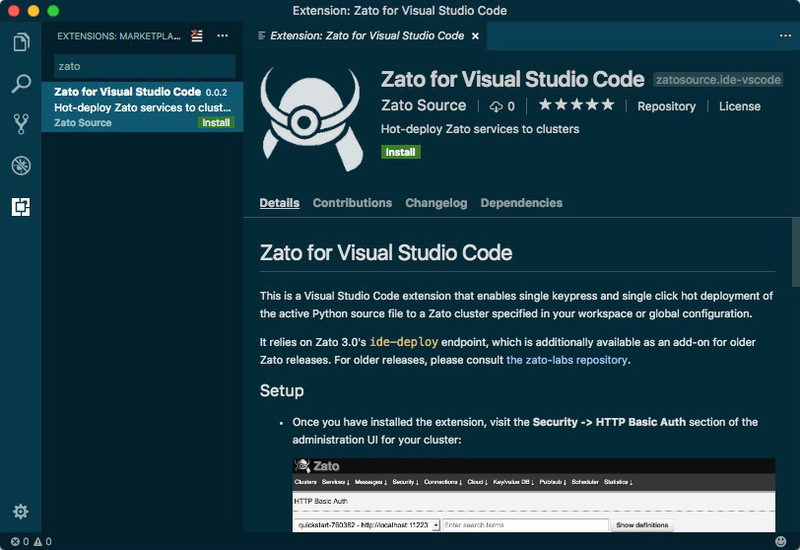 With Zato 3.0, we are excited to announce some popular development environments now have integrated support for hot-deploying Zato services directly from the comfort of your favourite text editor. Hot-deployment obviates the need to visit the administration GUI while modifying an in-development service, or requiring filesystem access to the machines hosting your cluster, the primary options available for rapid deployment prior to our new support for IDE extensions. Initially we are releasing extensions for PyCharm and Visual Studio Code while focusing on a great story around hot-deployment, however this is only the start. 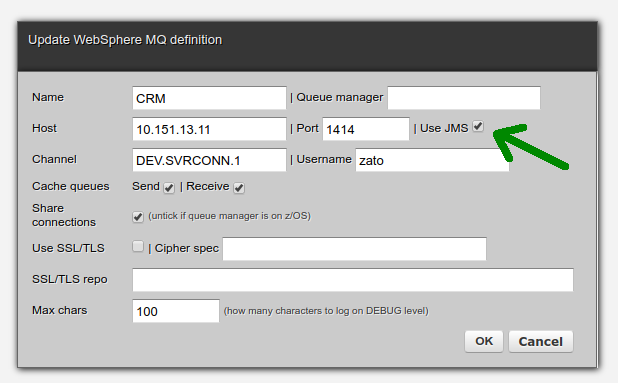 We have some very exciting integrations planned to simplify your Zato development workflow coming soon! For more information, please refer to the setup instructions provided in the extension's README.md, which is presented as part of the Marketplace user interface embedded within Visual Studio Code. Don't worry, we have you covered! 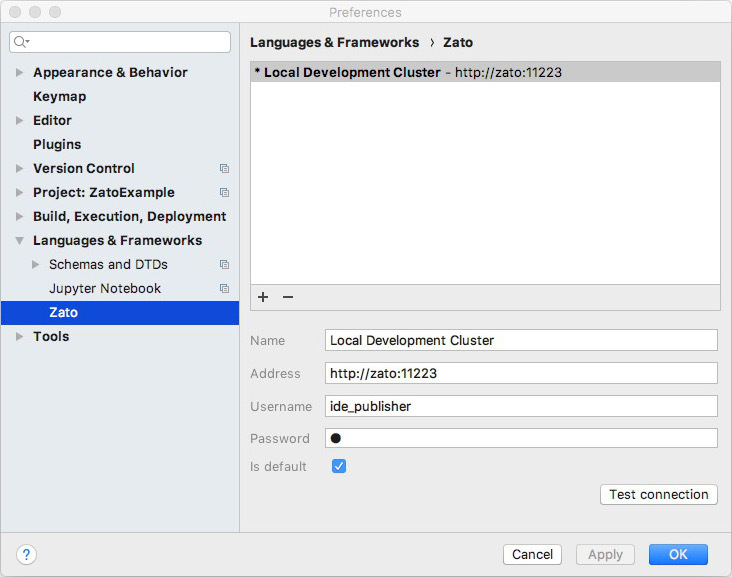 The Zato 2.0 documentation chapter on IDE integration includes a procedure for modifying older clusters to support the new endpoint. The process only takes a few moments, and the result works just great. Stay tuned for more information on when these features may land!